Amsterdam, 5 February 2019. Fastned, which is building a European network of fast charging stations, today opens a fast charging station at Van der Valk Hotel Gladbeck close to the A2. This is the first station of Fastned at a Van der Valk hotel and part of a collaboration to realise more stations in Germany. The Fastned fast charging station at Van der Valk in Gladbeck has a 50 kW and a 175 kW fast charger. This allows charging up to 50 times faster than at home and with 100% renewable electricity. The Van der Valk hotels are located near major high traffic roads and thus a pleasant and logical place for electric drivers to recharge. 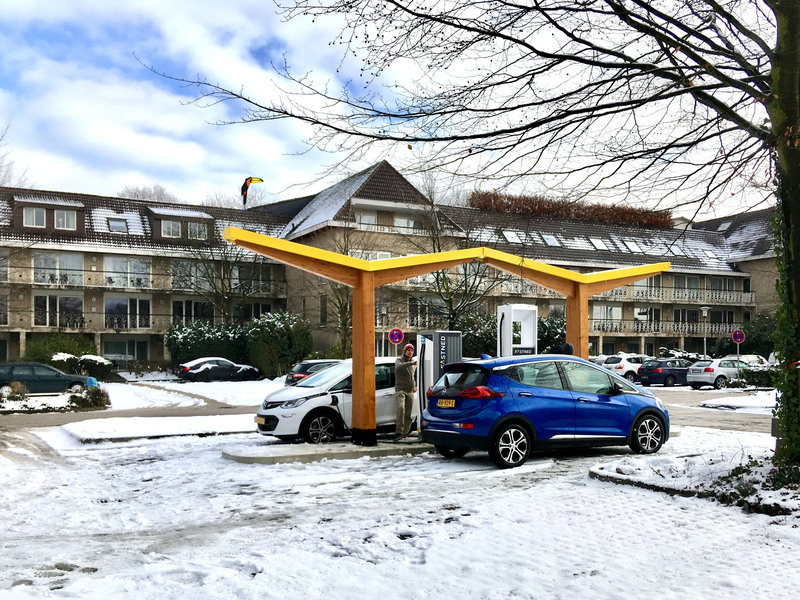 Fastned has the ambition to build a European network of 1000 fast charging stations, of which several hundred in Germany. Fastned currently has a network of 87 fast-charging stations, 9 of which are in Germany. Several Fastned stations are under construction including some at other Van der Valk hotels. With this network, Fastned wants to give electric drivers the freedom to drive throughout Europe. Michiel Langezaal, CEO of Fastned: "We notice increasing demand for fast charging on the road. More affordable electric cars with a larger battery and more range are being introduced. This makes it possible to cover longer distances, but also drives the need for fast charging infrastructure that can quickly charge these cars. We are therefore very pleased to offer a valuable service to all electric drivers with Van der Valk." Vincent van der Valk, Director Van der Valk Deutschland GmbH: "We are very pleased with this first Fastned fast charging station. Both Van der Valk and Fastned focus on people who are on the road. With these high quality charging services at our hotels we offer an important service to our customers. " At Fastned all fully electric cars can charge superfast with 100% renewable energy. The station has a canopy of solar panels. Charging and paying is possible with the Fastned app, by swiping a charge card or even fully automatic by using Autocharge. EV drivers can charge at Fastned with almost any charge card, bank account or credit card.